Preheat the grill. Toast the bread lightly on both sides, then spread one side with butter. 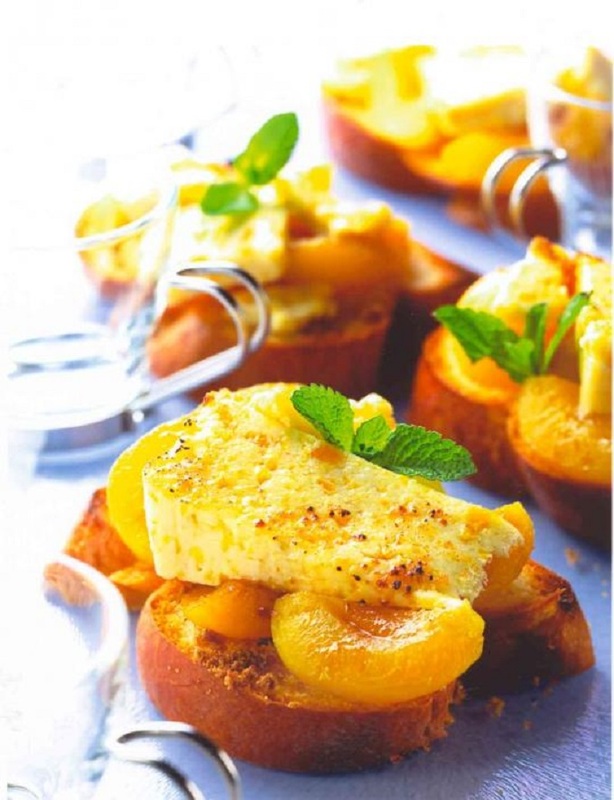 Arrange the apricot halves and sliced Stilton onto the toasted bread, squashing the apricots down slightly with a fork. Sprinkle a teaspoon of sugar over the top of each toast. Grill until the cheese melts and the sugar begins to caramelise. Cool for a moment, decorate with mint leaves, then serve. Use By or not Use By? That is the question!